Home Tutorials How to buy domain names on GoDaddy for newbies? 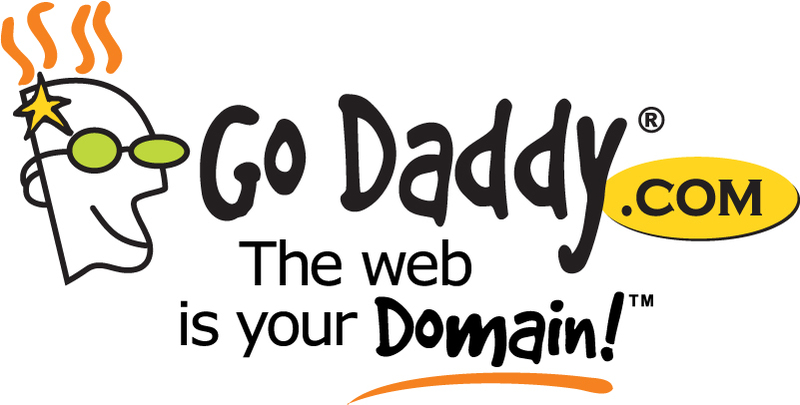 Godaddy is the largest domain name provider in the world. As of January 2016, the domain name provider managed more than 61 million domains. 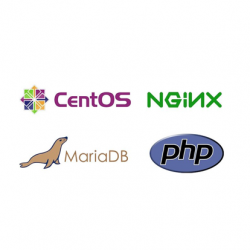 In addition to providing domain names, the company also provides hosting services. 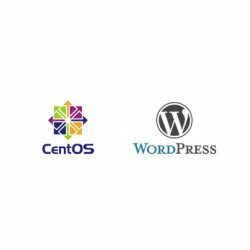 WordPress hosting packages are popular because they are cheap for just $ 1 a month, suitable for newbies and web hosting. In this article, I will guide you to register a domain name here. But first, let’s find out why you chose domain names at Goddady. 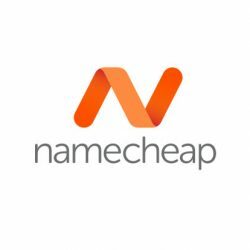 Domain names here are often discounted. 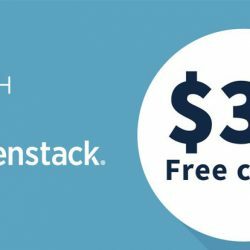 So you can own the first domain name for only $ 0.99 to $ 2.99. 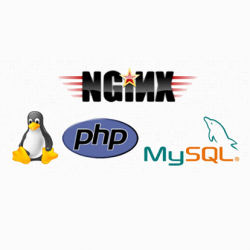 Domain name is easy to transfer to other vendors. The transfer time is also very fast. 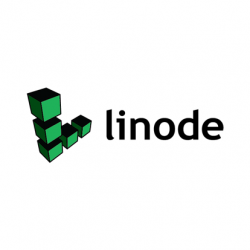 The convenient payment method you can pay by credit card or Paypal. I recommend paying with Paypal. 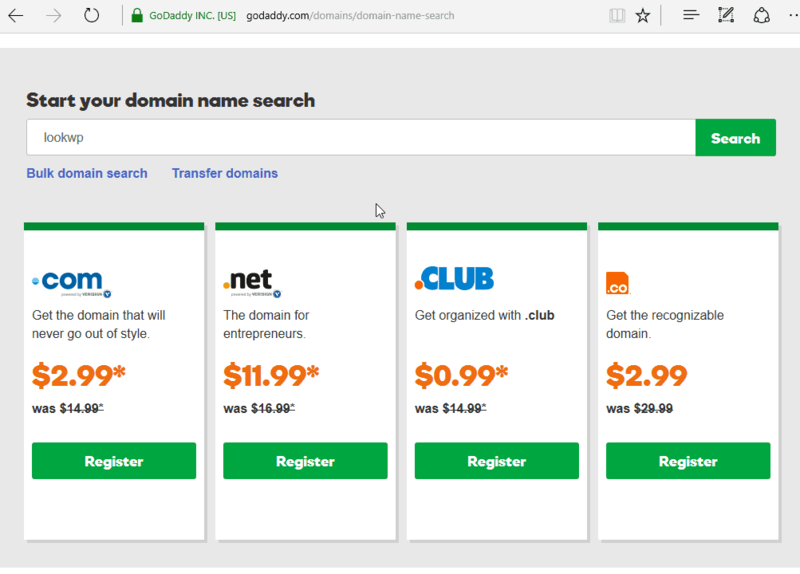 How to buy a Domain Name at GoDaddy.com? 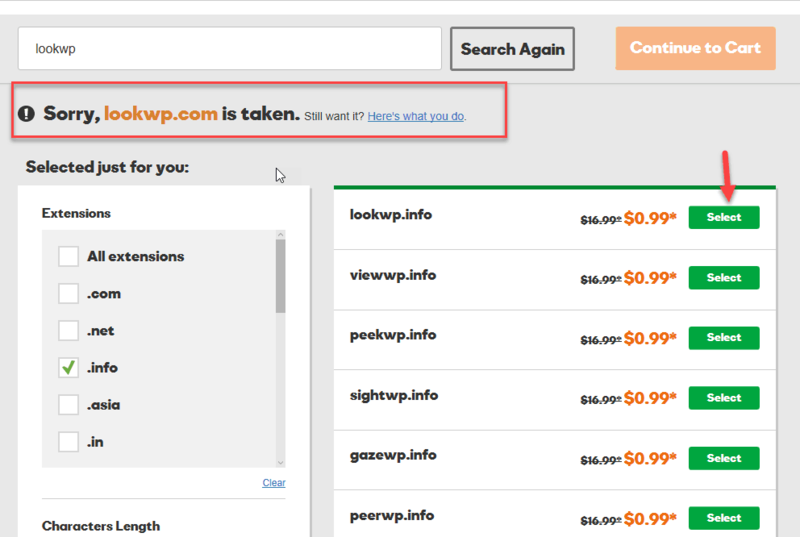 If you see results like ‘ Sorry, lookwp.com is taken ‘, it means that the domain name is already registered. 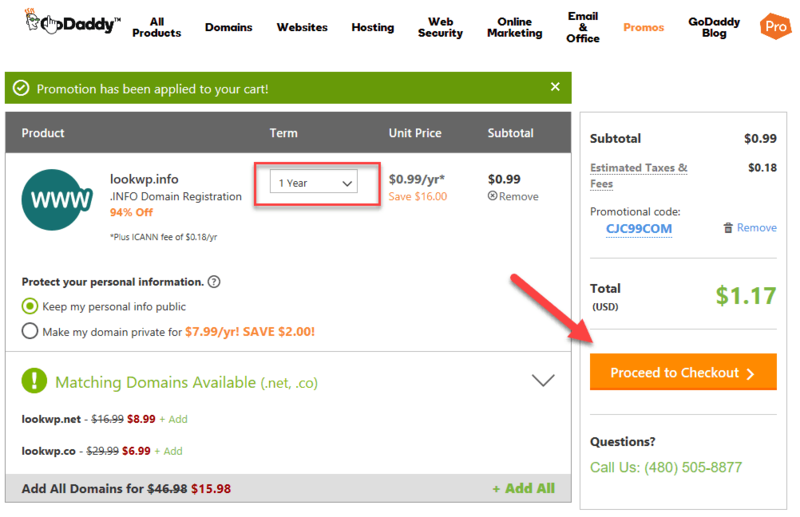 At the bottom, Godaddy will display the domain name available for you to register. You just click the Select button to select the domain you want. 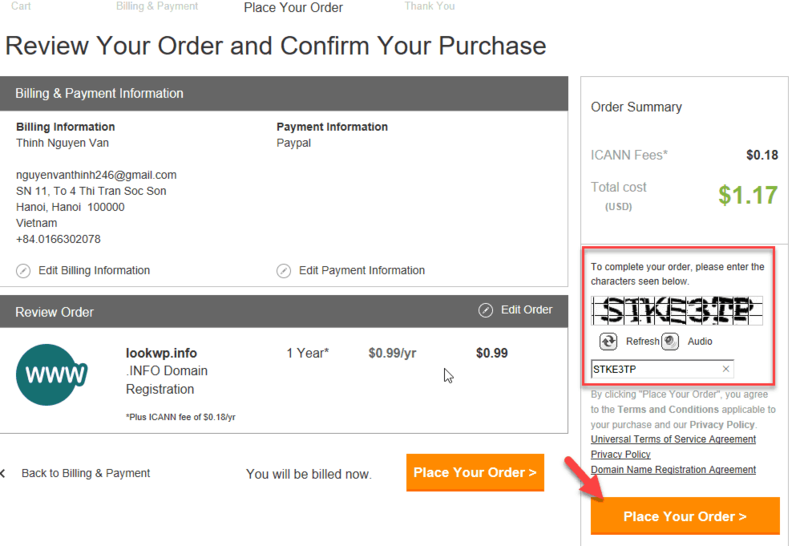 After selecting the domain name you want, click the Continue To Cart button. 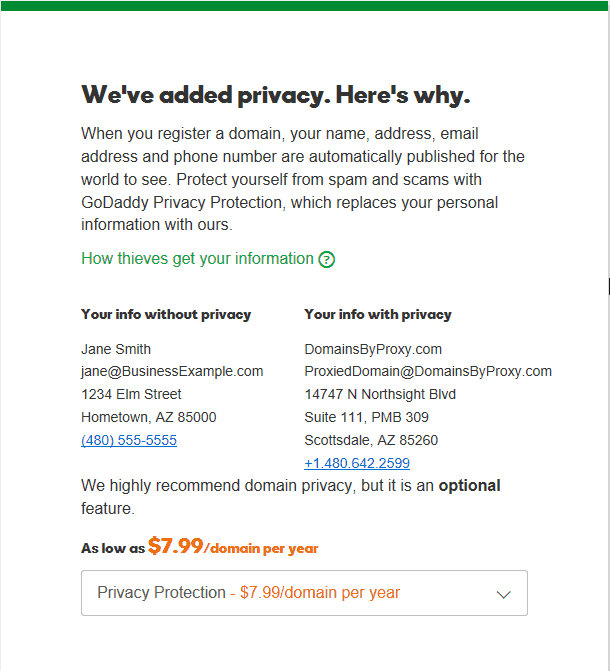 On the next screen, Godaddy will add Whois Private service of your personal information when registering the domain. This service is $ 7.99 / year. I will choose the service here. Click the Continue to Cart button to continue. 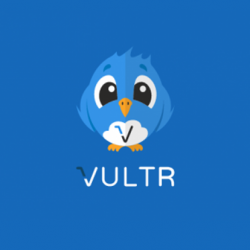 If you have a discount code, fill in the Promotional Code. You can see, when i added promo code: CJC99COM. The price for the first year only $1.17. Next, select Proceed to Checkout. At the next screen, if you already have an account in Godaddy, log in using Username and Password. If you do not have an account click the ‘ Create an account ‘ link to create a new account. The payment method you choose is Paypal. You can make payment by Paypal or Credit Card. Next screen, you will review the order. If OK, we proceed to pay. 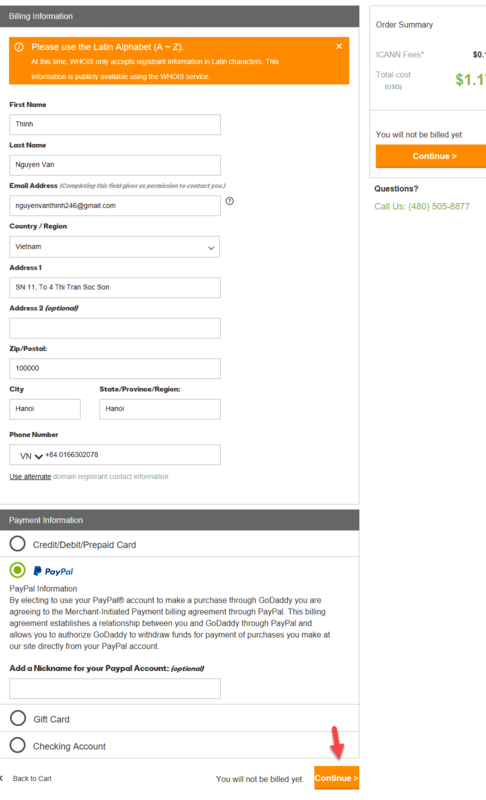 After you successfully pay, you will receive a welcome message and a few emails from Godaddy. 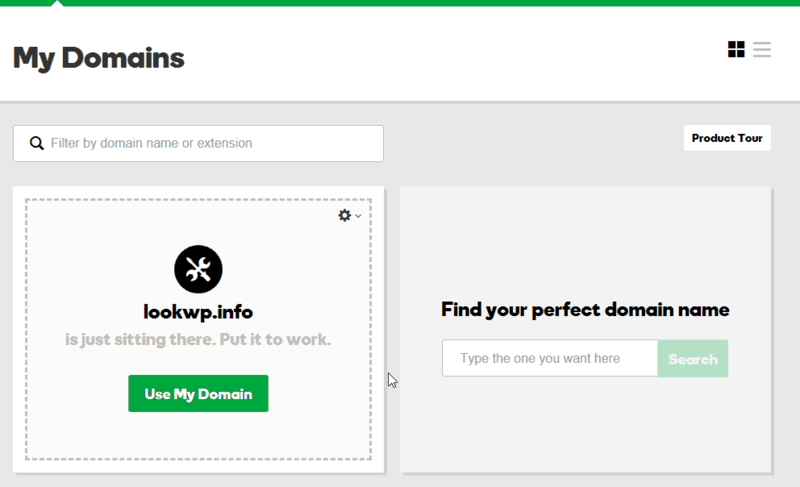 Or you can access the domain in the browser if Godaddy default page display is OK then. 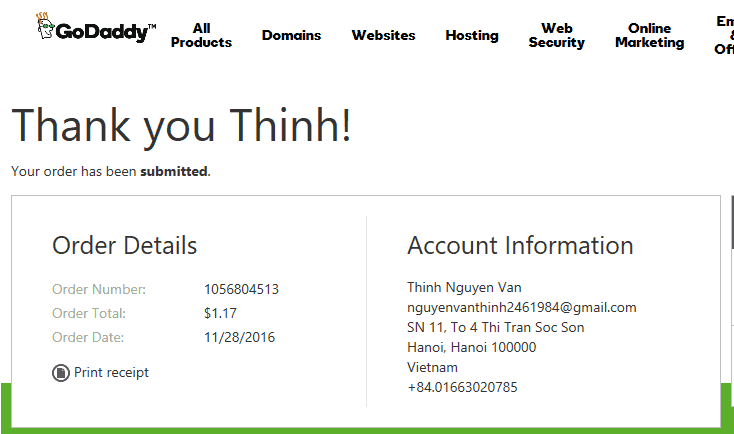 As such, I have guided you how to register the domain name at Godaddy. 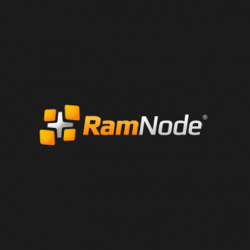 If you want to know how to transfer the domain name, read this guide. 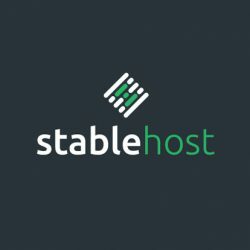 Need hosting with no cost you can visit top 7 hosting for WordPress. If you have used Godaddy’s domain, please share your experience below. If you need help please leave a comment.